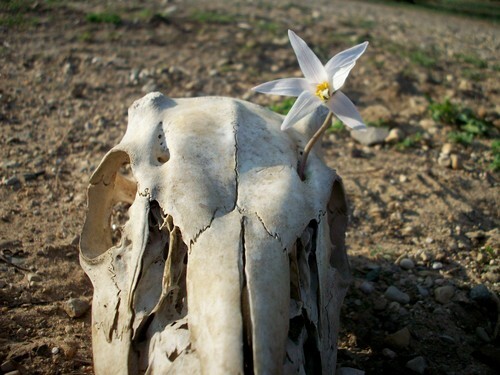 Flower and Skull. Pic of a flower and skull that I took :]. HD Wallpaper and background images in the Mother Nature club tagged: flower skull nature.